Mick Jagger, the famed Rolling Stones frontman who has seven children (which is more than enough), will father one more with ballerina Melanie Hamrick who is 29. 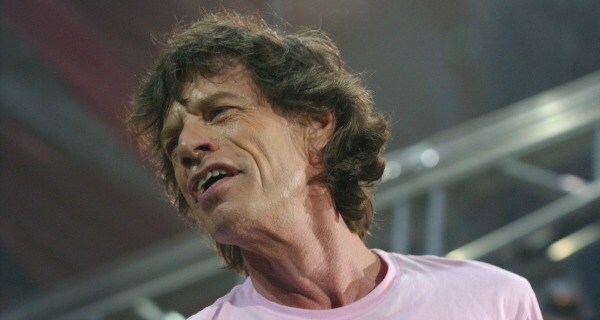 Jagger, who is 73 (a mere three years short of the average male life expectancy), and who has openly admitted to using copious drugs over the course of his life, is likely to die before the child reaches college, if not before its 10th birthday, destining it to navigate life without the helpful guidance of a father. The eighth Jagger child will join an impressive roster of siblings. The eldest Jagger, Karis Jagger Hunt (b. 1970), has worked in film production, as a schoolteacher, and in various philanthropic pursuits. The second-eldest Jagger, Jade Sheena Jezebel Jagger (b. 1971), is a jewelry designer, “socialite,” and former model. The third-eldest, Elizabeth Scarlett Jagger, who was the first of four children Jagger had with Jerry Hall, is a model as well, having — you know, I’m not going to waste time and space describing all of these people. Can we all agree that Mick Jagger has enough offspring? The child, who is due to be born in January 2017, is likely to encounter difficulty understanding familial relations in the same way that most people do, due to the fact that it will have several nieces and nephews (and even one grandniece) older than it. This difficulty will most likely be compounded by the fact that it will have no father to explain these familial nuances to him. The child, whose father is 14 more years older than its mother than its mother is older than it, will most hopefully carry with it a memory or two of its father, its father whose immense legacy it will possess only a grasp of an understanding of. What will become of this child’s existence now? The odds are simultaneously entirely stacked against it and entirely in its favor.